Christmas is always a special time for the Tracers. Past celebrations have featured no shortage of enthusiasm and this year we raised the bar even higher. 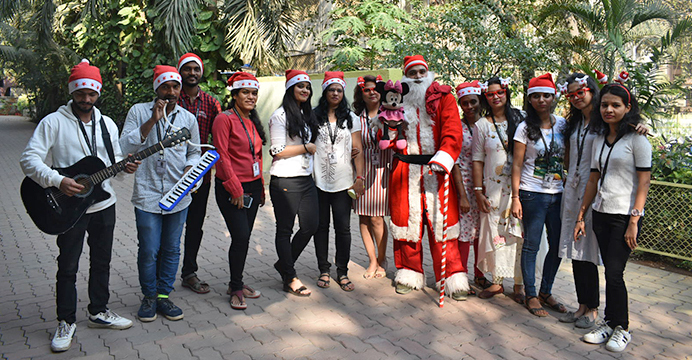 For our Santa Team Competition, each team was given a stage to make their own Christmas performance while distributing gifts collected for Secret Santa. A large crowd gathered and everyone had a great time! But the holiday spirit didn’t stop there. Our office’s reception area was dressed up to represent the nativity scene and Trace’s paint team decorated the bay. 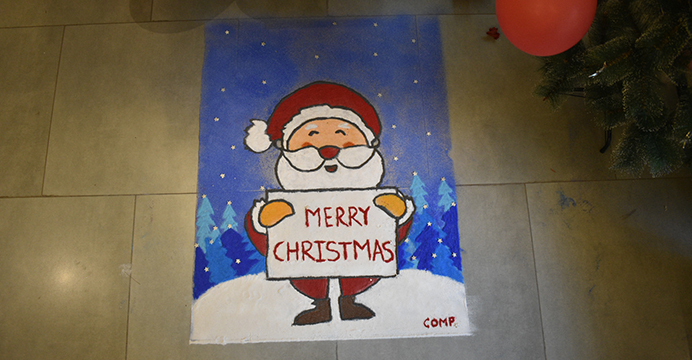 To top it all off, a group of Tracers created a beautiful Santa Claus Rangoli. Our VFX Supervisor, Cheten Gaur, shared his thoughts on our celebration.